Clarke vividly recounts his experiences of two tours in Northern Ireland (in Belfast and Crossmaglen) as a Platoon Commander with Britain’s elite Parachute Regiment during the blood soaked 1970′s. Soldiers from Iraq and Afghanistan comment on how relevant the book still is today, as the dangers, political agendas and religious roots underlying the conflict are eerily and heartbreakingly similar to their own more recent experiences. “I am an ex soldier who served in Northern Ireland during the Troubles and this is an excellent account of what it was like. I only wish we had an officer like Captain Clarke.” pm, 5 Stars Amazon UK“.. its honesty and passion cannot be denied .. Mr. Clarke has sent out a powerful and disturbing early warning signal.” Maurice Leitch, Daily Telegraph. CONTACT was reviewed by soldiers who served with Captain Clarke as verification of his recollections. It was first published in the UK in 1983 by Martin Secker & Warburg, was serialized for 5 days in The Mirror and became an instant best seller. In 1984 it was published in paperback by PAN Books, by Schocken Books New York and made into an award-winning BBC TV film. And in 2012 came the expanded ebook edition, which all these years later is still selling strong. Readers outside the UK are invited to visit Amazon.co.uk for soldier’s reviews and comments. AFN Clarke is a full-time author and writes fiction of various genre – fast-paced thrillers (An Unquiet American), poignant human drama (Dry Tortugas), humorous satire (The Book of Baker Series - Dreams from the Death Age; Armageddon; Genesis Revisited), psychological horror (Collisions); and the Thomas Gunn suspense series (The Orange Moon Affair) with more coming soon. 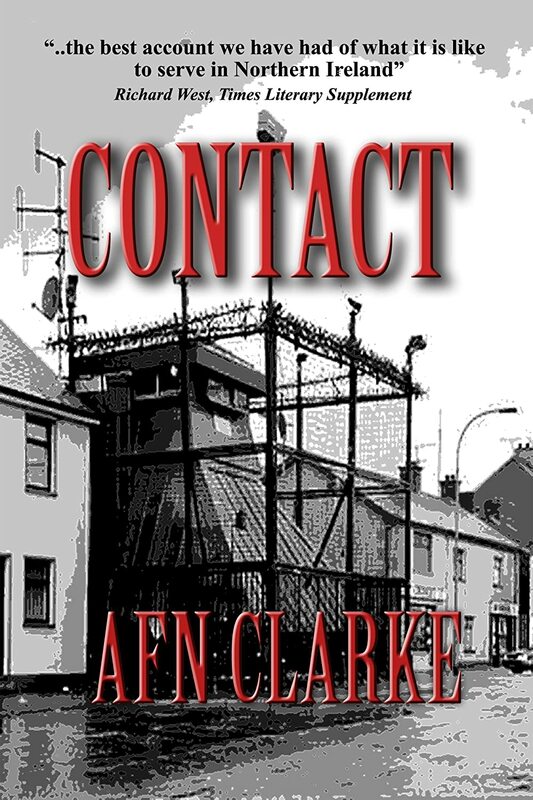 Visit the Amazon Kindle Store or afnclarke.com for further information.